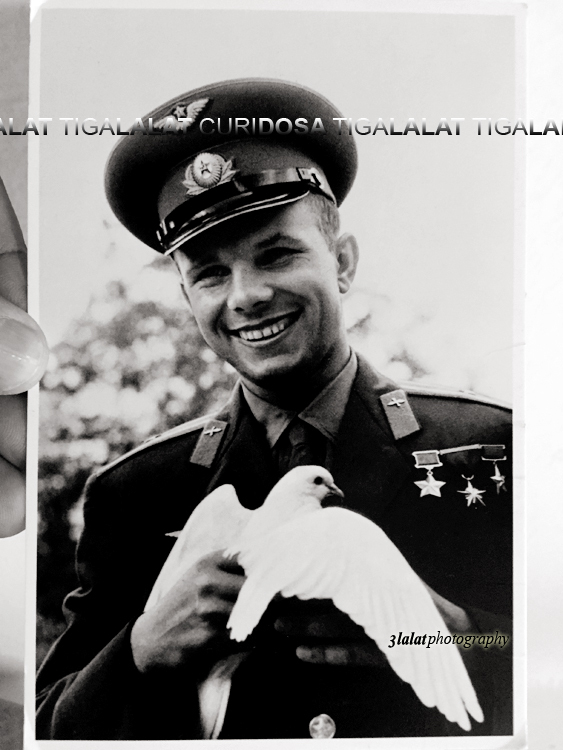 Yuri Gagarin - sent by Shmori, Russia. FOREWORD. 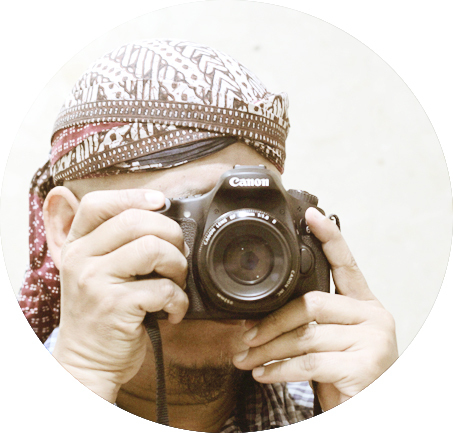 This blog is only for postcard activities. The main photojournal is still available >>CLICK HERE. TODAY I received 2 more postcards from Europe. The first one below was from Yvonne of Netherlands, but she sent me a San Marino's sunset. I asked her if she could swap postcards with and send her own Netherlands. Until now, she haven't replied yet. How are you? I'm Yvonne a 23 year old from the Netherlands. 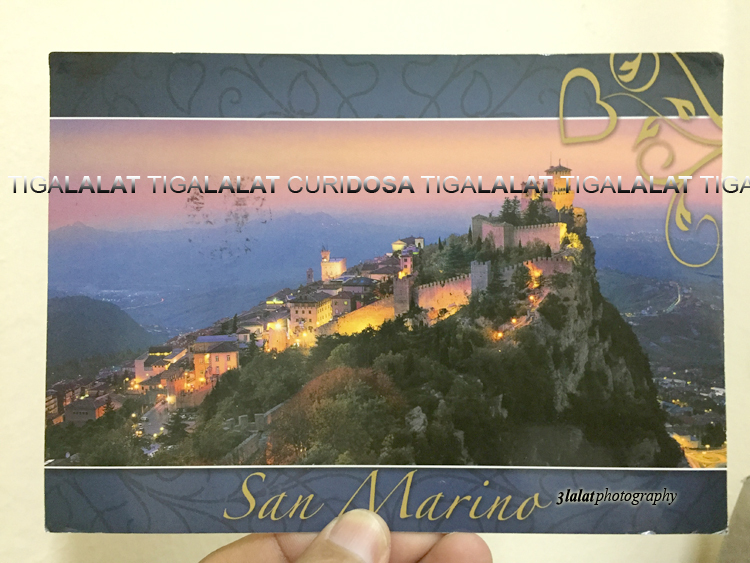 Last year I went to San Marino, where I bought this very nice card. I hope you enjoyed it! The second one above was coming from Shmori (Rita or Маргарита) of Russia. 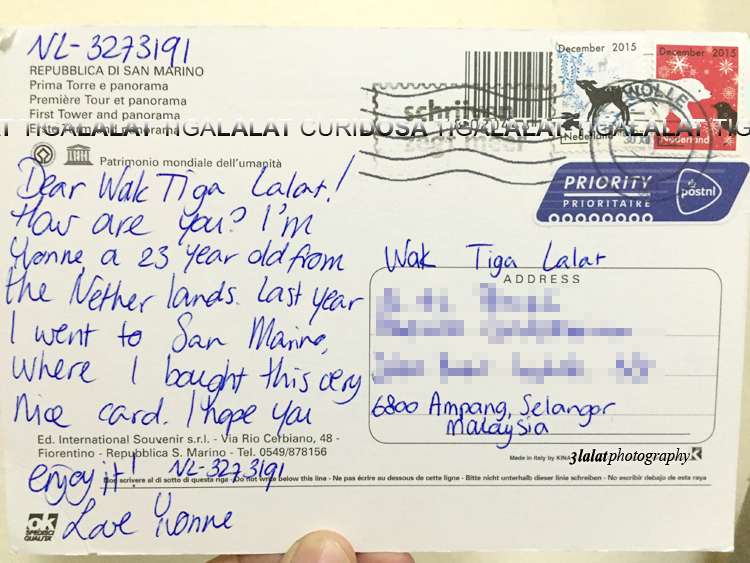 I only guess the name because the sender doesn't write her/his name on the postcard. I hope she/he will realise and inform me later. I have not found a postcard with the views of my country. 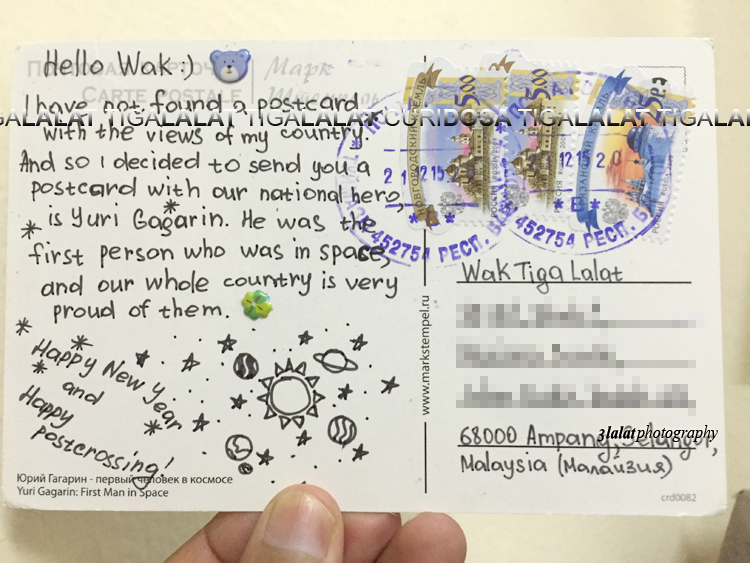 And so I decided to send you a postcard with our national hero is Yuri Gagarin. He was the first person who was in space, and our whole country is very proud of them. Happy New Year and Happy postcrossing!" Updated. 9.1.16. 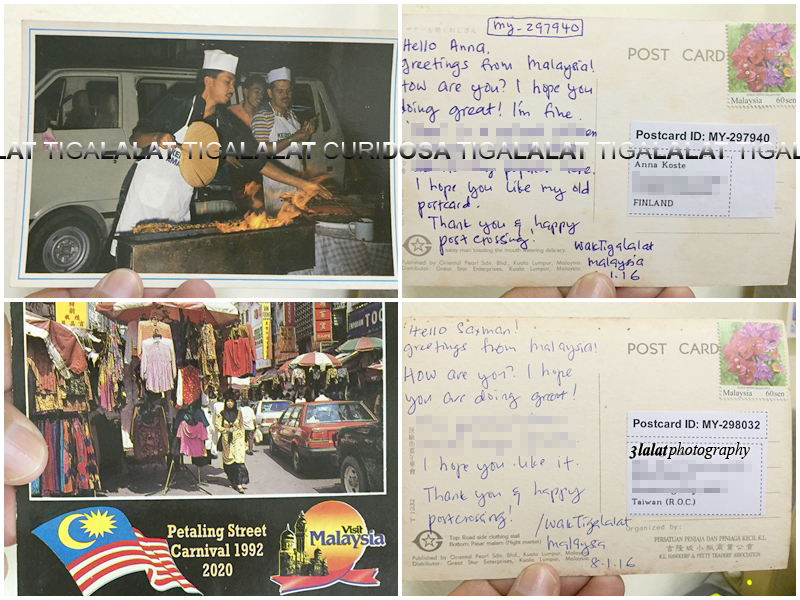 Shmori (Rita) messaged me and confirmed that the postcard is belong to her. "Wack Hello ;) Yes, it's a postcard from me. I forgot to sign it. I hope you enjoy this postcard ;) "
A postcard sent by Shmori (Rita) which she forgot to write her name on it. San Marino postcard sent by Yvonne of Netherlands. Yvonne of Netherlands wrote me a postcard. At the same time, I was preparing 2 outgoing postcards to Anna Koste of Finland [Updated. 27/1/16 received] and Chuang Huawen of Taiwan. I hope they will receive the postcards soon! Outgoing postcards with postcrossing ID to Finland and Taiwan. The best part terus terasa nak pindah ke San Marino, cantik tempat tu..